Hot bear du jour Originally uploaded by Buffawhat. Im relaxing at Astoria on Elmwood, this is Lorenzo, he made me take this pic 8 times to make sure I had his good side. Can you say queen? My Christmas beta testing swag came from Intuit after a little rerouting to my work address. Normally, when you test a piece of software... you get the CD after its all done. 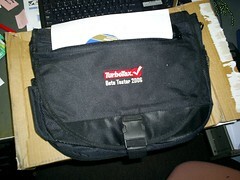 This time, they sent all the beta testers a laptop bag as well, with "Turbotax Beta Tester 2006" embroidered on the front. I rock... I know. And Thank You All Things for my Christmas card! I love the penguin! My cards were sent out today. First year for cards... its a lot of work! I'm at work and got a text to my phone from the blog with the word "snap". I'm starting something fun that you can send me text messages right from the blog. If you send the word "snap" to me, I'll take a pic of what I'm doing and blog it. Right now I'm at work at my desk... so here's a pic of my new Starbucks coffee mug for christmas. 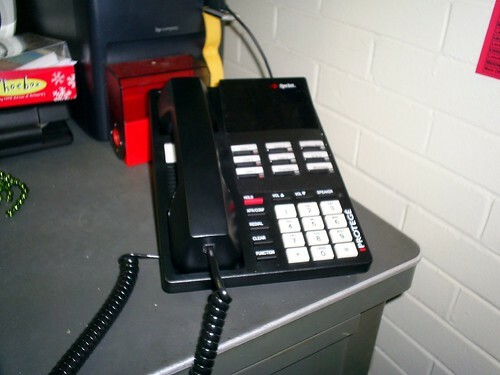 After over eight months in my isolated dungeon of a computer lab, I finally get a phone. I probably won't use it, and I will grow to hate my new availability; but its validation. I have my own extension and voicemail, too. They must have forgotten to order me the one with the LED screen, but I don't really need to see my name in lights on my shiny black multi-line Sprint Business phone now, do I? I've noticed that I'm starting to enjoy posting via flickr shots. Upside: I'm not always at my computer when I want to post something... so I can get it out at that moment. Downside: I'm limited to 400 characters and the cameraphone I have is a bit shoddy... Buffawhat is definitely going to be more active in january.. 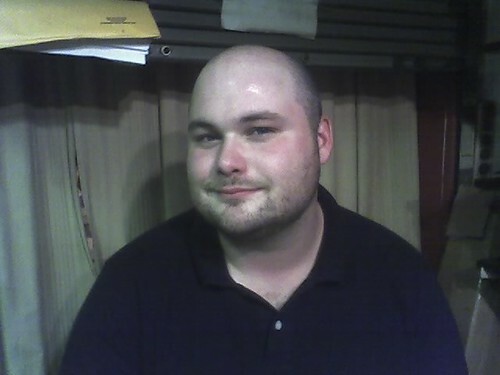 I'm working on a new theme, and I really want to get my feeds up.. that means a whole lot of working the blogosphere. I can do it.. Oh.. and you can now read my blog mobile style! Then would I be flammable material? Saw this on my way out of the galleria mall tonight, tacked on the back of a Kia. 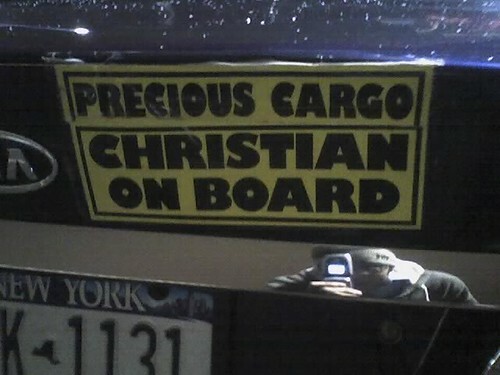 Made me think for a second, only Christians are precious cargo? I probably would have been able to enjoy the first official snowfall if it wasn't 58 degrees in my apartment when I went to bed AND woke up the next morning. 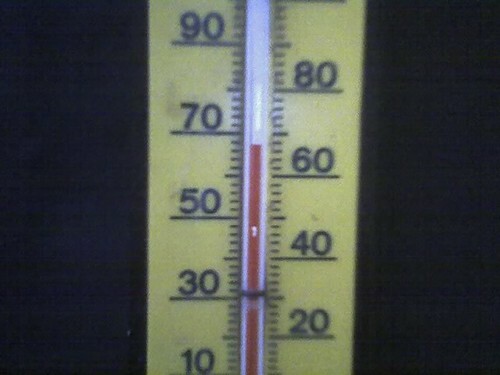 The boiler in my building is either timed wrong or the thermostat is reversed. 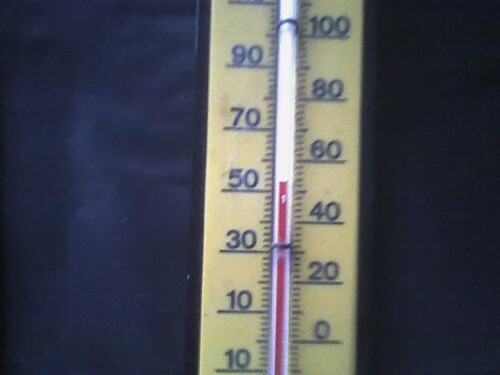 Either way, its been getting very cold and combating my already low motivation to get out of bed in the morning. 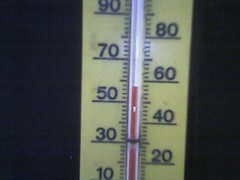 I'm not paying rent until I know whats wrong with the boiler.